VADAR Systems provides financial management software and IT solutions for local governments and private sector companies for multiple city, town and county governments across several states. The comprehensive software suite includes revenue, financial, clerk, tax lien, and billing and collection applications which can be installed on local networks or hosted in the cloud, alongside services for software development, data migration, infrastructure assessment and design, training and technical support, and more. Each VADAR Systems application is designed and developed to be quick and easy to learn, and adaptable to a variety of environment types and sizes. 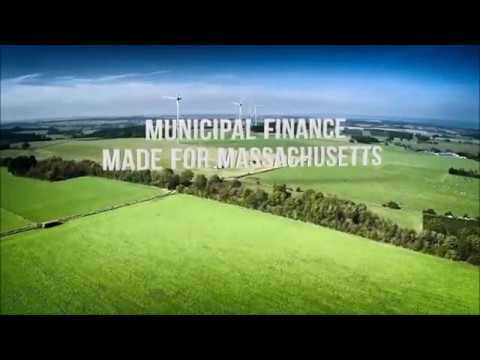 Within the government sector, solutions for revenue applications for Massachusetts include real estate billing and collection, personal property billing and collection, municipal lien certificate, delinquent real estate, tax title, and assessor’s data bridge. Additionally, VADAR Systems provides a betterment management suite, apps for utility billing and collection, motor vehicle and boat excise billing and collection, and point of sale. Financial applications for Massachusetts include general ledger, accounts payable, treasurer's receipts, treasurer's cash book, budgeting, requisitions, purchase orders, school accounting, and a custom report writer. For government sectors in New Hampshire, VADAR Systems provides revenue, clerk, and financial applications with similar functionalities, including voter registration and dog licensing. Software and services for Ohio includes a tax lien certificate management suite with pre-sale file preparation and analysis, and post-sale certificate management and collections. VADAR Systems provides Pennsylvania with an application for water / sewer billing and collection. All apps have been optimized and tested for all major hypervisors including VMWare, Citrix XenServer, and Microsoft Hyper-V. For private sector organizations, VADAR Systems provides LienApp, a tax lien servicing software system for tax lien investing across all states. Vadar is a very good product. I like that all the features "talk" to one another. I enjoy having Vadar on the Cloud. Ease of access and speed has increased significantly. I like the reporting capabilities in Vadar, and find them very useful for my EOY reporting. Overall Vadar is a great product, and I look forward to new changes and modifications of the system to help better streamline the reporting process. Not enough trainings. There is so much I still do not know. It would be most beneficial if there were user trainings for AP, AR, JE, budgeting, and to go over some of the other features in Vadar. I also dislike setting up links, wish there was an auto feature some how. Thank you Mary, it's a sincere pleasure serving you and the town. Please call (877) 823-2700 to request a refresher any time. Makes my job so much easierIntegration and being on the cloud. It makes is so easy to access your data from anywhere and being the Town Accountant it is wonderful to able to access the tax collector information and tax title on my own to reconcile accounts. Integration and being on the cloud. It makes is so easy to access your data from anywhere and being the Town Accountant it is wonderful to able to access the tax collector information and tax title on my own to reconcile accounts. I personally don't have a true Con, but our treasurer totally hates the cash book and it isn't user friendly and could really use an overhaul to be more treasurer user friendly. Thank you for your review, Kelli. It is a pleasure to serve you and your communities. I love that the software is compatible with my colleague's needs as well. I can use the accounting to get my reporting done, and the collector can keep track of all our taxpayer's accounts. The best part is the customer service...the team at VADAR is GREAT!!! We sometimes have to rely on the developers to help resolve problems, but they are super and can usually do what we need with little fuss. Thank you Jennifer, and thank you Boxborough for being highly valued customers. Ease of use. Going to areas of different functionality is common sense and intuitive. Easy to load files for online payments. Reporting functionality could be more broad. Customer service is good however sometimes an issue is unresolved between local IT management and tech support thru Vadar due to communication obstacles. Thank you for your feedback, Brian. We can't wait to show you advanced reporting capabilities! Fast, quick, efficient and reliable.Customer Support is outstanding. Moving to the Cloud has made the use of the produce even more efficient. Customer Support is outstanding. Moving to the Cloud has made the use of the produce even more efficient. I can honestly say after using this software for more than 18 years, it has been extremely reliable and certainly designed for the Municipal Market. Thank you, Dot. It has been a pleasure serving you all these years. Contact VADAR Systems for detailed pricing information. VADAR Systems solutions help replace IT labor and maintenance costs of computing, network, storage, and upgrades across the organization. Users are provided with financial apps and IT infrastructure assessment to workflow and business review and consulting to better navigate the ever-changing technology landscape. VADAR Systems provides organizations within the government sector with built-in balance sheets and Schedule A for DLS, automated collection tasks, and advanced reports. Collaboration tools allow users to share financial information in real time, helping departments work together faster. All cloud platforms provide users with secure 24/7 remote access to all applications and data from anywhere and any device, via desktop, smartphone or tablet. Below are some frequently asked questions for VADAR Systems. Q. What type of pricing plans does VADAR Systems offer? Q. Who are the typical users of VADAR Systems? Q. What languages does VADAR Systems support? Q. Does VADAR Systems support mobile devices? Q. Does VADAR Systems offer an API? No, VADAR Systems does not have an API available. Q. What other apps does VADAR Systems integrate with? Q. What level of support does VADAR Systems offer?